If Jacinda Ardern is the mother of the nation, Winston Peters is rapidly turning into its kindly old uncle. Come the stroke of midnight Wednesday, Ardern will resume the role of Prime Minister. Since its unlikely that either she or Clarke Gayford are getting much sleep these days, the timing of the transition seems appropriate. As in the Gremlins movies though, Peters probably shouldn’t be fed after midnight with any further questions about the affairs of state, in case he reverts to a feral version of the genial patriarch we’ve seen in action over the past six weeks. Any junior partner in a MMP coalition has a hard job retaining its identity, but New Zealand First is making an extremely good fist of it. Once Peters had anointed which major party would lead the next government, there was always a risk that this would make NZF captive to its chosen partner, such that the party’s influence and independence would quickly wane, and Peters would relax into one last round of diplomatic forays overseas before sailing off into the sunset. Well, it hasn’t worked out like that at all. Any assessment of the policies of the Ardern government has to consider how thoroughly NZF has made itself part of the DNA of this coalition. Every now and then – as when it rescued the “three strikes” policy – NZF has publicly reminded Labour about how essential it is to this partnership. On defence policy, it has won a huge spending commitment over the Orions replacement, with more spending still to come (see below). Meanwhile, Shane Jones and his Regional Development Fund have become the effective face of the government in the rural/provincial heartland. Even more interestingly, NZF – while still a culturally conservative party with regard to any form of identity politics – has shown itself to be entirely compatible with Labour and the Greens when it comes to tackling income inequality and the problems generated by National’s systematic neglect of social services. It shouldn’t be surprising that NZF tacks left on the economy. After all, NZF first pitched its tent 25 years among those people who had been left behind by the neo-liberal excesses that were in vogue at the time, among both the major parties. It was not as if Peters’s turn at the helm as Acting PM was entirely uneventful. As he pointed out at yesterday’s press conference, the nurses’ industrial action (and yesterday’s tentative resolution of that dispute) played out during that time. The families package and the winter energy payments had both come into effect and yes, the decision to spend at least $ 2.3 billion (closer to $3 billion) on buying four Poseidon P-8A military surveillance was also announced, on his watch. Closer to the 2020 election, tensions may yet arise but for now, this has been a winter of relative contentment within the coalition government. The odd couple – Ardern and Peters – are proving that they can be a formidable and complementary team. Footnote on Defence. Supposedly, the Defence spend-up becomes magically affordable when it gets treated as “capital expenditure” spread over several years. This form of hire purchase ignores a couple of salient points. The equally expensive replacements for (a) the frigates and (b) the C-130 Hercules air lift planes will also be going on tick during the same period, which will stretch to bursting point any current Defence capex budget, and will thereby inevitably restrict the social spending budgets over the next decade. Huh? Evidently we can forget the p.r. guff about the Poseidons being necessary mainly so that we can patrol our economic zone or rescue locals in maritime peril. Instead, Mark aims to buy even more stuff – small planes, drones and/or satellites – to do that kind of thing, so that he can free up the Poseidons for exercises out in the Pacific or “further afield” – presumably as a counter to China’s military and diplomatic expansion. Basically, this says that the Defence posture now emerging from this coalition government is almost the exact reverse of what the Clark government pursued during its first year in office. While still talking the talk of ‘an independent foreign policy’ the current Labour/NZF government is buying (at great cost) the kind of new gear intended to enable New Zealand to reknit our Cold War alliances. 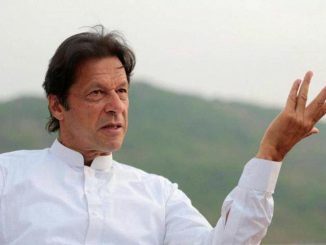 The outcome of the Pakistan election – which makes Imran Khan the likely next PM of the country – has headed into the crucial phase of political horse trading in the Punjab, which, as Dawn newspaper says, is crucial to establishing Khan’s writ across the entire country. The Punjab independents – not to mention the seven seats controlled by the PML-Q splinter party – are the current focus of Khan’s attentions. As expected, the threats by the defeated parties to boycott the election result have collapsed, given that so many opposition MPs want to sit in the National Assembly. The cost that the PML-Q is likely to extract from Khan could go as high as the deputy PM post. The adult finally has to leave the games of childhood behind. Imran, Richards and Hadlee had their own motives for continuously developing their skills at the game. With Richards it was the politics of race; with Hadlee it had been the partly neurotic intensity of a New Zealander demanding to be taken seriously on the world stage. She’s right. And if Khan does act on those early motivations then Pakistan – and the world – are in for some interesting changes. By nature, he is not a follower.